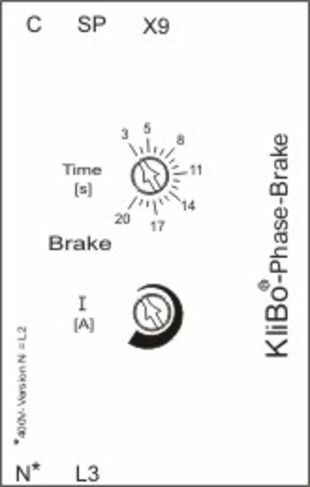 The braking module for KLIBO-Star-Delta Brake and KLIBO-Time Brake. 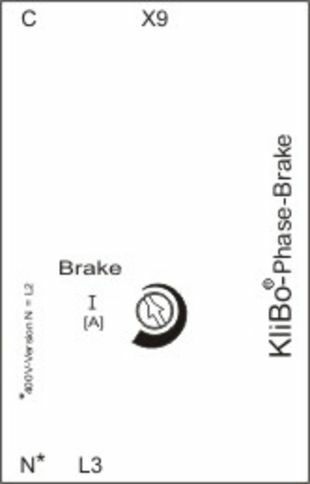 The KLIBO-Phase-Brake module was developed for braking cage motors and single-phase motors with starting capacitor. The powerful integrated electronic generates DC which causes a standing magnetic field in the motor coil and brakes the rotor. 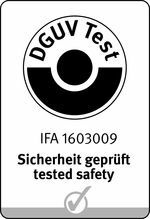 The magnetic field strength (and thus the braking power) can be set through the continuously adjustable strength of the direct current. 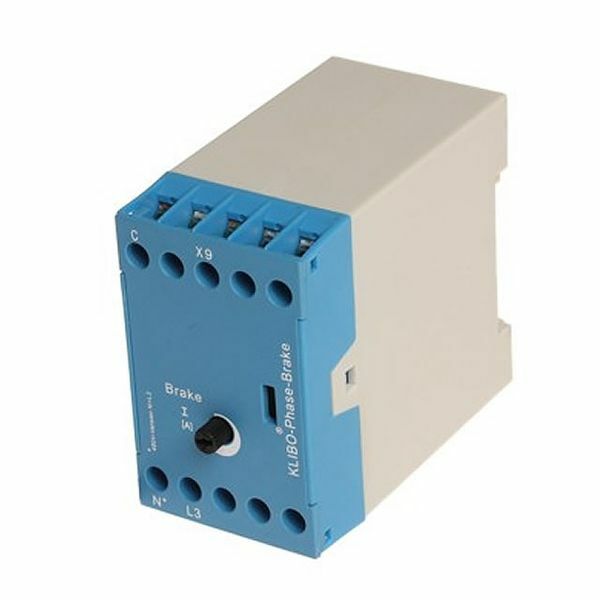 This module supports continuous adjustment of braking current and of active braking time. These are controlled via the optional SP input. 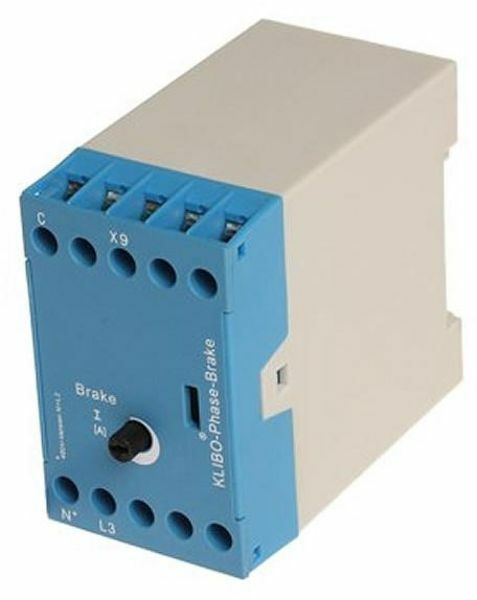 Power contactors controlled by the KLIBO-Star-Delta-Module switches the KLIBO-Phase-Brake Module directly to the motor coil .